-- Select a Size -- Size 10 Size 12 Size 14 Size 16 - Out of Stock! Size 18 Size 20 Size 22 Size 24 - Out of Stock! Size 26 Size 28 Size 30 - Out of Stock! For freezing conditions, you'll want the warmest winter dog coat that Canadian-based RC Pet makes! 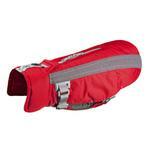 The Vortex Parka Dog Coat in Red and Grey delivers! The Vortex Parka by RC Pet is your go-to dog coat for outdoor adventures. Jam-packed with high-end features, this winter dog coat is as functional as it is fashionable. 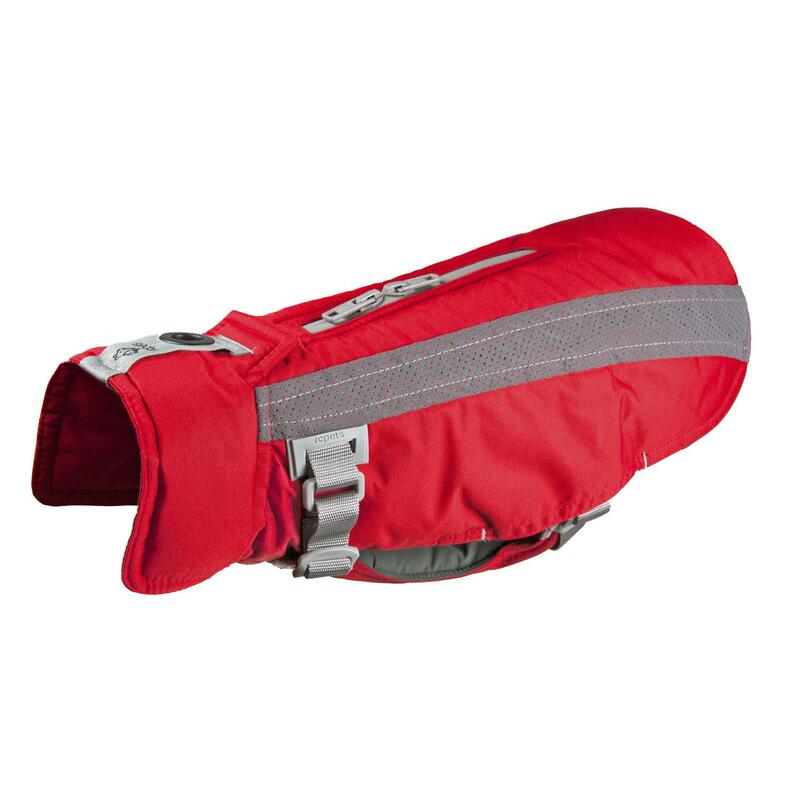 This is RC Pet's warmest coat ever and is fiber-filled for maximum warmth and boasts a waterproof zipper for harness access. There is also a storm flap covered leash access at the collar. The buckles are expertly hidden to save them from getting caked in mud or snow. Whatever your next adventure entails, this coat is ready to go. This was the only site that offered a choke-free collar for my precious Yorkshire terrier, which is important for her agility training. I worry about the pressure around her throat when she pulls when excited, and I don't like the thin chest strap around her girth on most other harnesses. They slip and stretch to the point where she can pull out of it. I hope this harness is comfortable and safe for her.